Tongariro National Park is a dual World Heritage area due to its outstanding natural features and cultural significance. Tongariro Alpine Crossing is 19.4km of pure rugged New Zealand beauty. View our map of the track. Conditions in Tongariro National Park change dramatically with the seasons, resulting in a wide variety of habitats. National Park Village lies in the heart of the dual World Heritage Tongariro National Park and provides easy access to nearby activities. Tongariro National Park is New Zealand's oldest national park and a dual World Heritage Site. 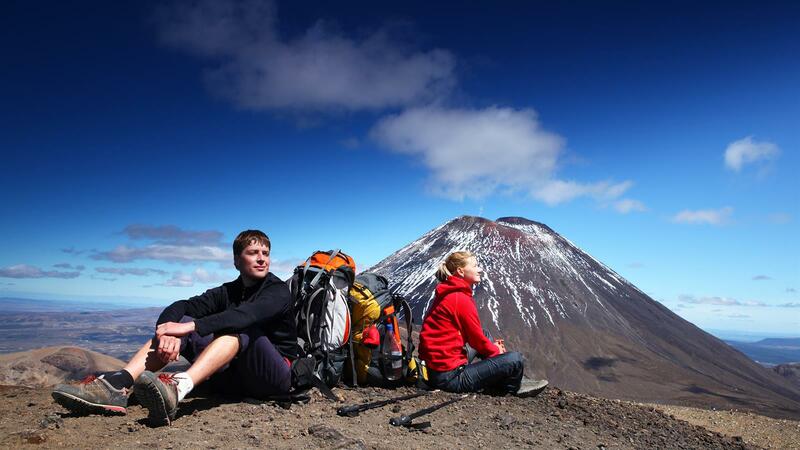 The Tongariro National Park is rich in both cultural identity and dramatic, awe-inspiring natural scenery. Unique landforms, including the volcanic peaks of Ngauruhoe, Tongariro and Ruapehu ensure the Tongariro Alpine Crossing is considered a world-renowned trek. Visitors are strongly recommended to not park their vehicles at either end of the Tongariro Alpine Crossing but park and ride with our licensed operators from the townships nearby such as National Park Village & Whakapapa Village. There is now a 4 hour parking restriction in place at Mangatepopo road end to allow for those doing shorter walks. However, for those hiking the entire Tongariro Alpine Crossing, our licensed operators who are approved by the Department of Conservation, will not only provide timely shuttle transport but also provide expert safety knowledge on the walk and the weather plus free parking at their depot. They will also provide back-up should you suffer a mishap during the day. The Tongariro Alpine Crossing is heralded as the best one-day trek available in New Zealand, while others say it's among the top ten single-day treks in the world. Many who complete the 19.4-kilometer journey will tell you the climbs can be steep and the weather unpredictable, though worth it in every aspect. Prepare for the elements. Ensure transport is arranged to drop you at the beginning of the track and pick you up at the end of the day. The spectacular vistas and unique geological features of the Tongariro Alpine Crossing create a perfect setting for some amazing photographs. Take a look at our selection of images of this natural wonderland. The Tongariro Alpine crossing traverses areas with active volcanoes. Check here to see the latest updates on volcanic activity in the area.